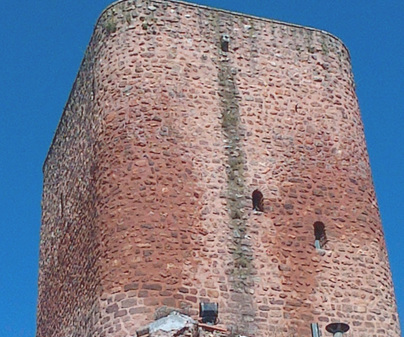 A castle around which the town grew, with a tower of great size from the 12th century, now converted into a library. We can visit the ground floor, access the second by way of a stone staircase built into the wall and well-lit by the bays on the sides. Next, a second set of stairs leads us to the defensive terrace, with a parapet without battlements, and an interesting channeling system for storing rain water located under the tower. 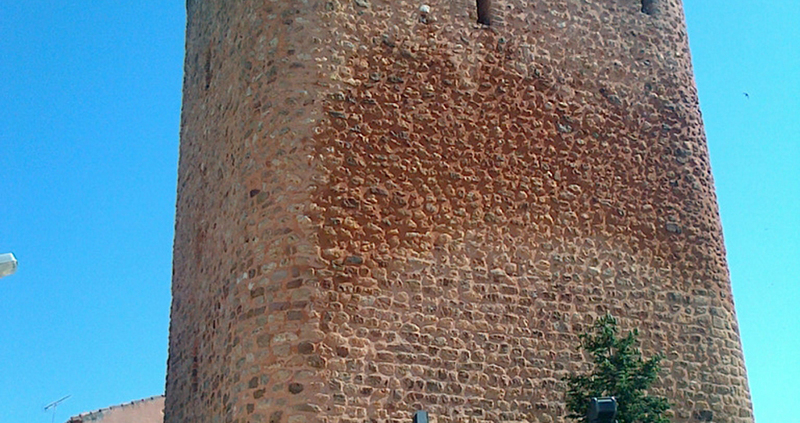 Its impressive walls are two meters thick and are made of masonry. Inside, the ceiling vaults and the window arches are made of brick. The great height of the ceilings of both spaces indicate that these were divided at one point into two stories, using wood flooring, which augmented its inhabitability and made its interior capacity useful. The cistern, or water basin, below the tower is very interesting to understand how these fortresses supplied themselves with water during sieges. It is in good condition, since it preserves the main, square floor-plan structure, and the interior, although transformed, is restored and conditioned for public use, being as it is currently the municipal library. Archaeological discoveries reveal a past more glorious than we thought. But the strongest presence and influence, which has endured until nowadays, was thanks to the Order of Saint James, who contributed to the reconquest and repopulation, furthered the development of towns and villages, created means of communication, etc. In 1243 the Order of Santiago possessed all of the Campo de Montiel. From that moment, Puebla del Príncipe grew beneath the shelter of the strong Castle, which formed part of one of the 32 fortress that the Order of Saint James had in the 13th century.